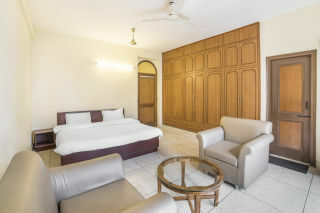 Located near The Mall Road, this offering of a private room can accommodate up to three people. 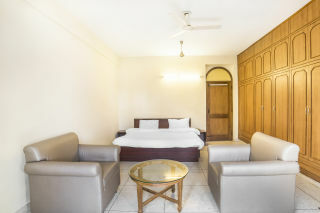 This accommodation is ideal for backpackers. Ample parking space is available for those on a road trip. The services of a caretaker are offered by the host. 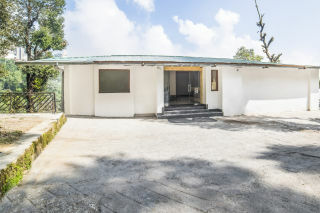 The guest house is 1.2 km from Library Bus Stand. 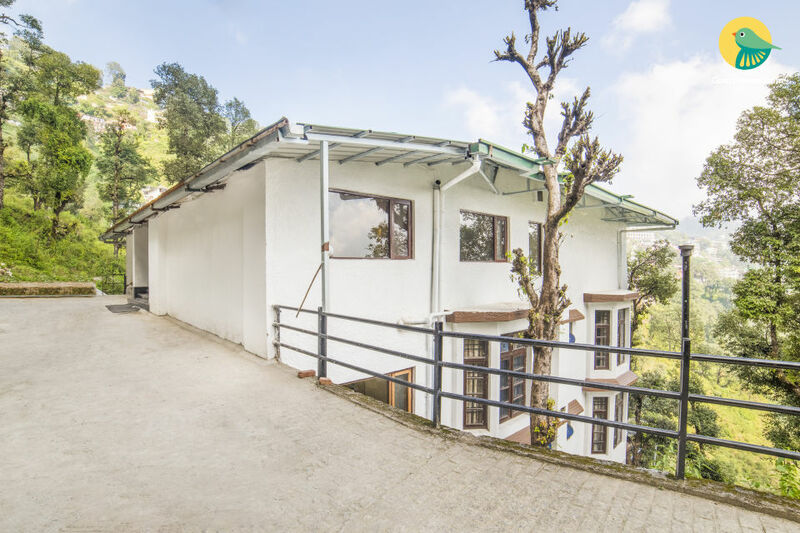 Your Space Perched on a picturesque hill, the holiday home abounds refreshing greenery. The bedroom on offer is well lit and commodious. 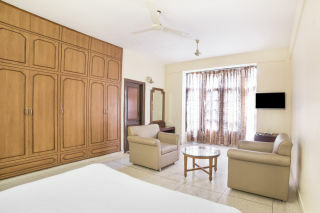 It is furnished with a comfortable double bed, ample wardrobes for storage, and a vanity unit for dressing convenience. A couple of Lawson-style sofa chairs with a rustic coffee table are placed. 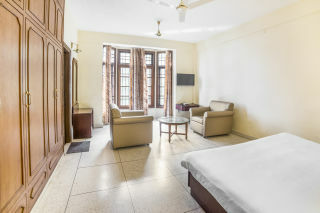 The seating arrangement is placed in front of a flat-screen television so you can comfortably watch your favourite shows. Generous windows create a bright and airy ambience. 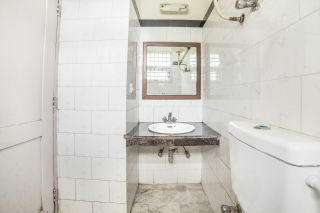 The washroom is appointed with contemporary sanitary ware. Guests are requested to provide valid ID proof at the time of check-in. This property is not open for bachelors. Families and married couples are welcome here. The host regrets any inconvenience this may cause. The host does not lend his property to unmarried couples. Married couples may be asked to present a valid proof of marriage at the time of check in. The host regrets any inconvenience this may cause. Places to visit : Gunn Hills : Offers a beautiful panoramic view of Himalayan ranges and a bird's-eye view of Mussoorie and the Doon Valley. Enjoy the Ropeway Ride to the second highest peak of Mussoorie. Kempty Fall 15 km from Mussoorie on the Yamunotri Road, Kempty fall has a distinction of being the biggest and prettiest waterfall located in the valley. Bath at the foot of the fall is refreshing and enjoyable for all. Camels Back Road Starting from Kulri Bazaar and ending at Library Bazaar, the main charm of this road is Horse Riding and walking. The Sunset View of the Himalayas is superb. Mussoorie Lake A newly developed picnic spot, situated on Mussoorie- Dehradun road, is about 6 Km from Mussoorie. It is a delightful spot. Pedal boats are available. Dhanaulti Located on Mussoorie- Tehri Road at a distance of 25 Km. From Mussoorie. Great Place to go for. I really enjoyed my stay with Guesthouser. Host was very understanding and I had not issues with the trip. I would love to come again here.